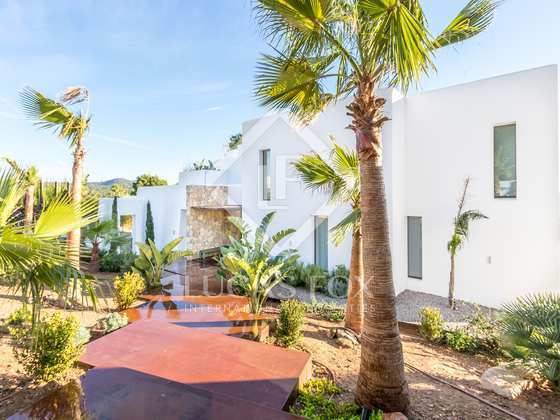 Very bright 4-bedroom villa renovated with the best quality materials and with a swimming pool, for sale 2 minutes' walk from the sea, near Cala Conta and San José. This spectacular completely renovated villa is located 2 minutes' walk from the sea, 3 minutes from Cala Conta and 10 minutes from San José. 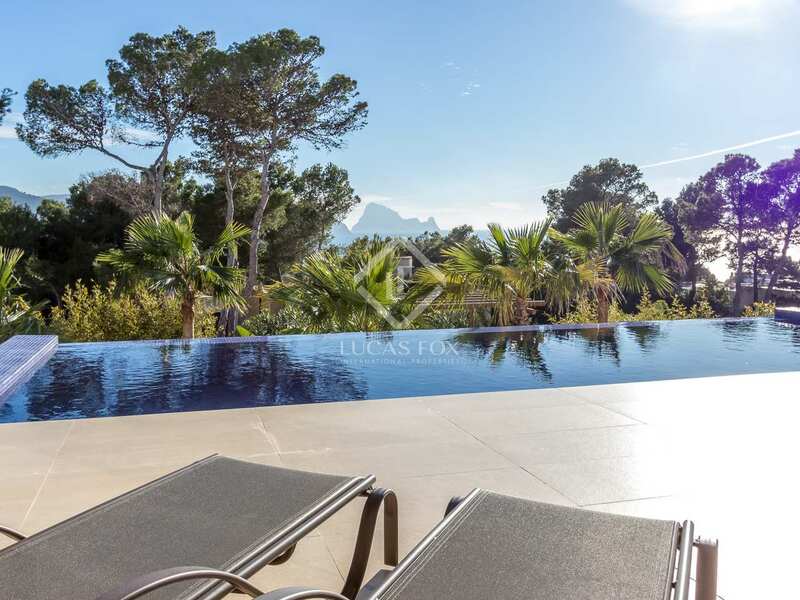 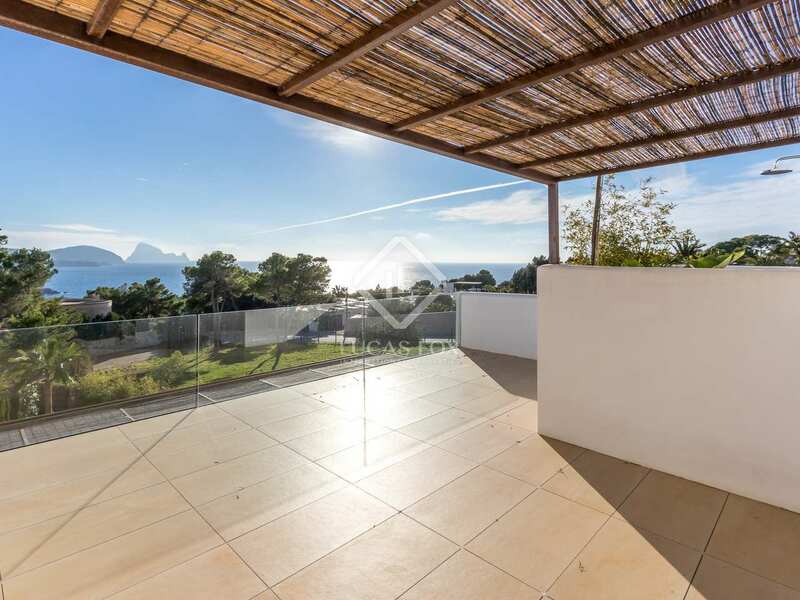 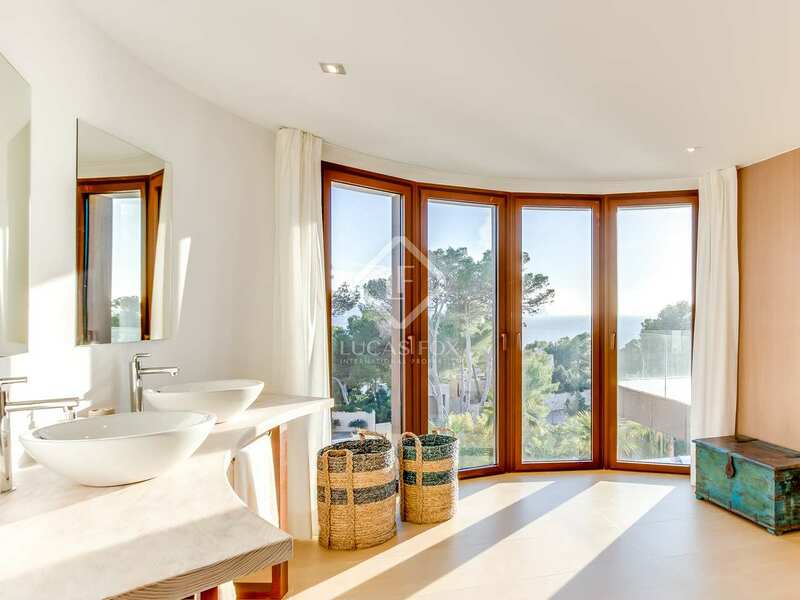 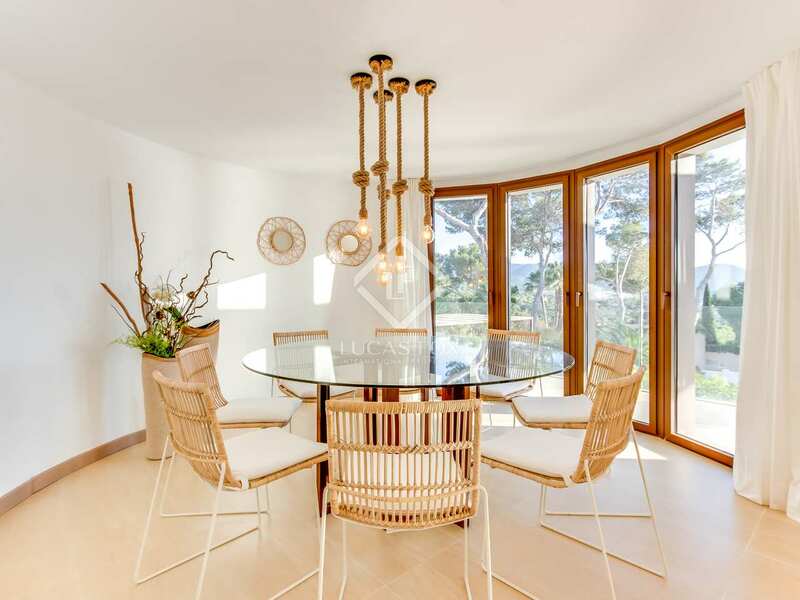 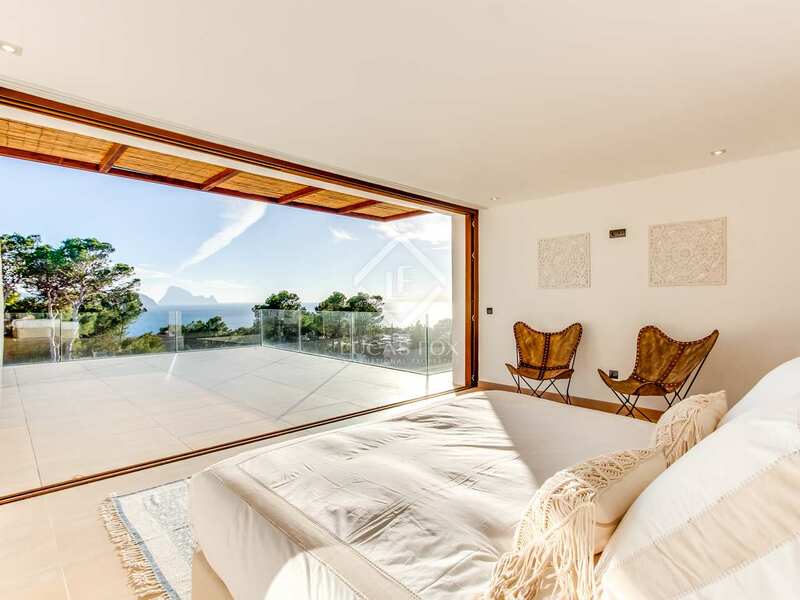 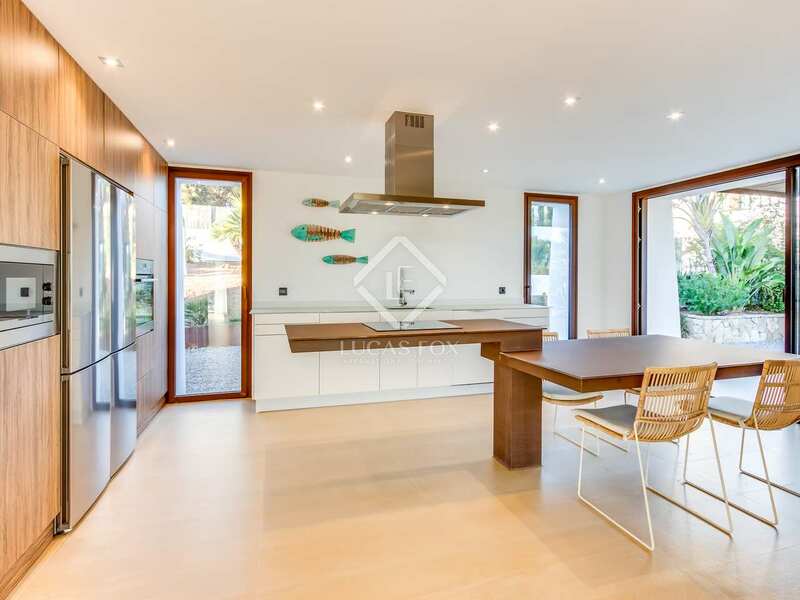 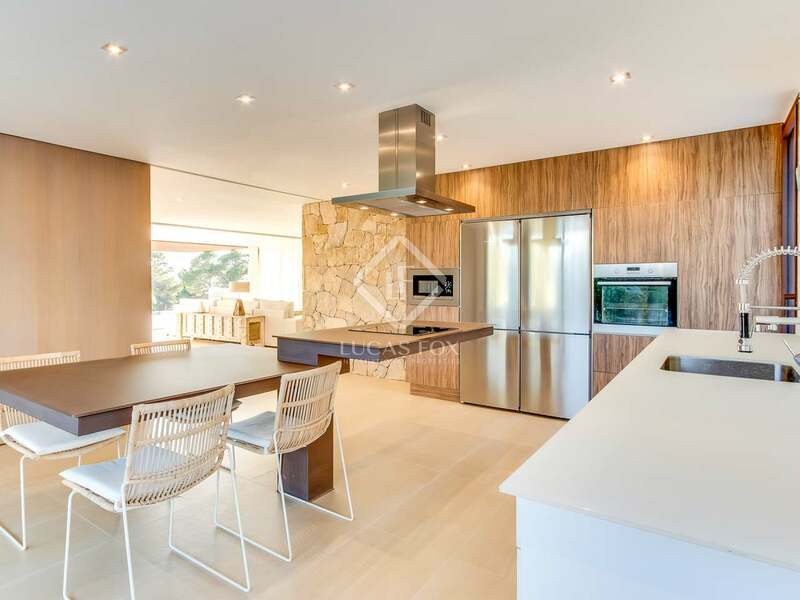 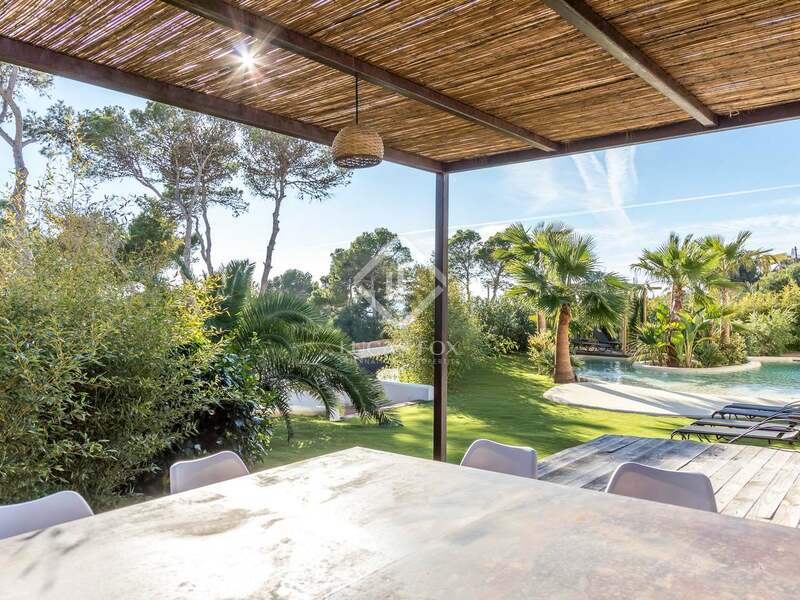 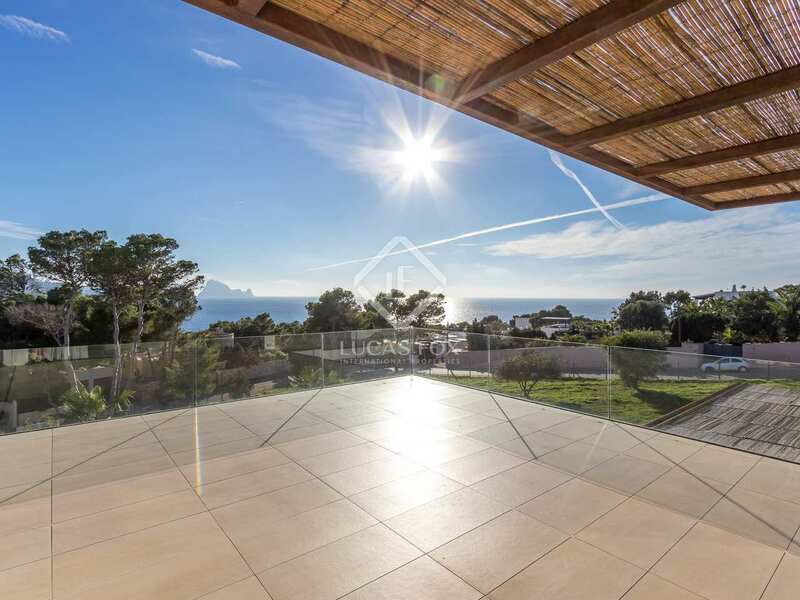 This 3-storey house is situated on a plot of 2,000 m² with beautiful exteriors and stunning views of the sea and Es Vedra. 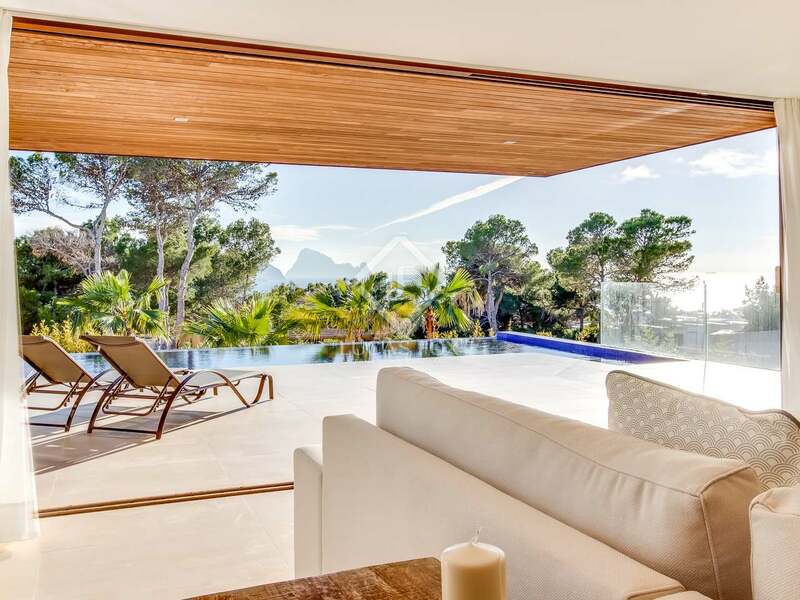 From the beautiful garden we cross the main glass door, from which we already have views of Es Vedra. 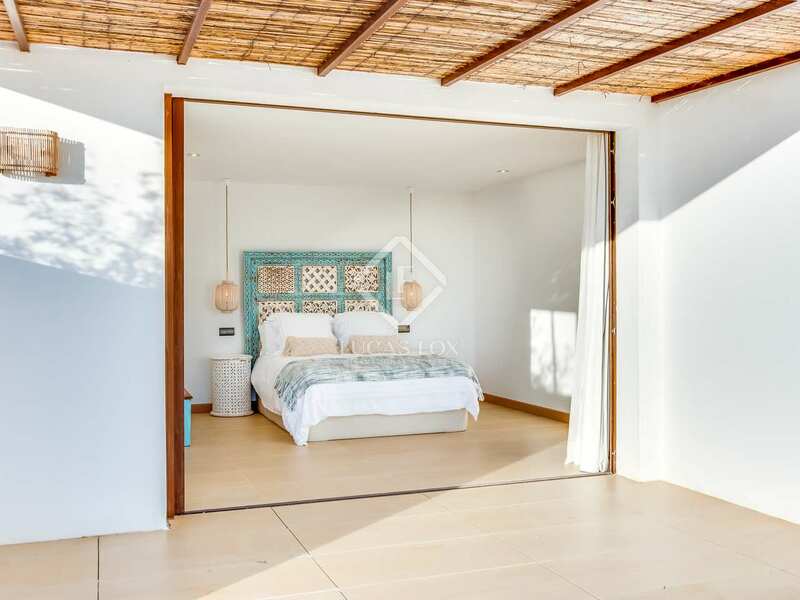 We enter a large lounge around which there is a dining room, a large open kitchen with a separate terrace, a pantry, a guest bathroom and 2 bedrooms with private bathrooms. 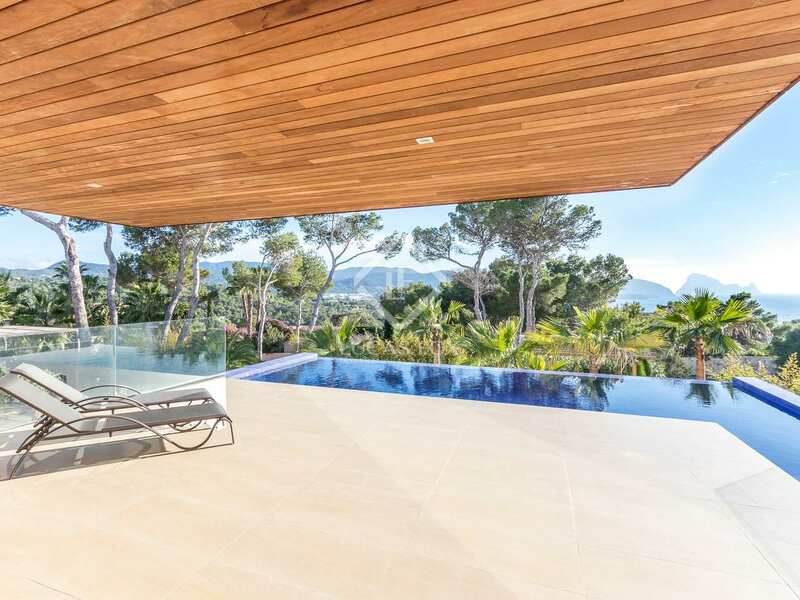 From the living room, fully glazed doors give access to the terrace and the infinity pool. 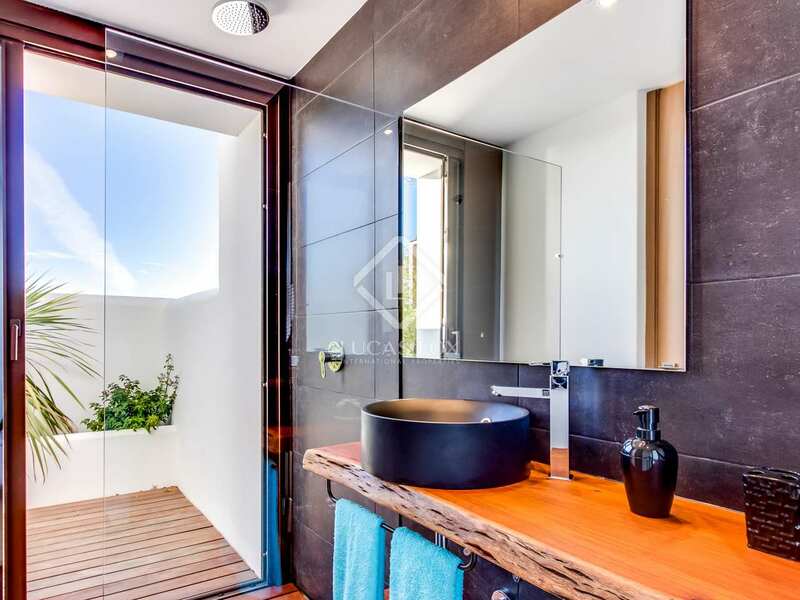 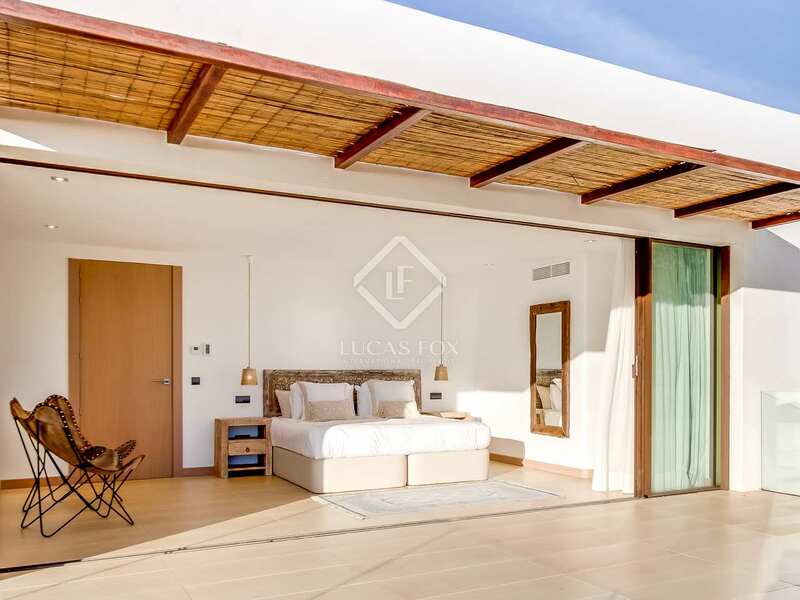 On the first floor we find 2 exceptional bedrooms with dressing rooms and private bathrooms. 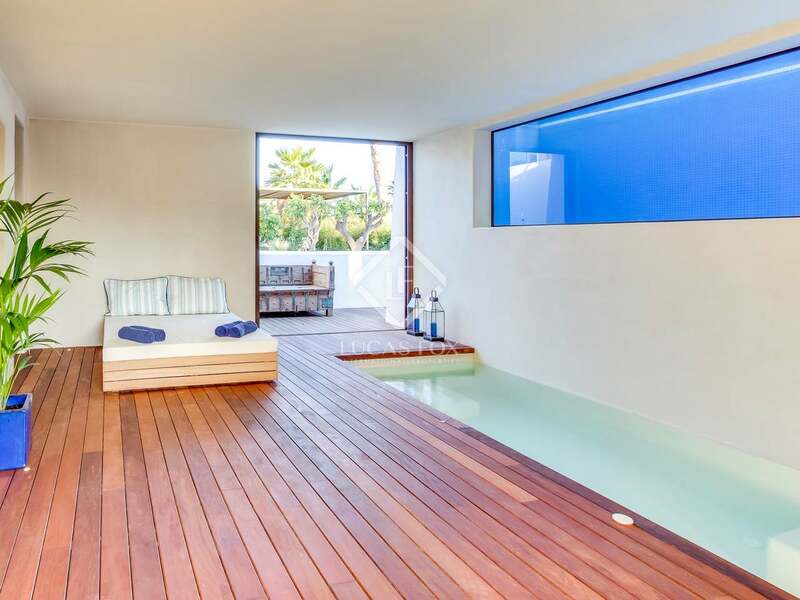 One of them has an outside shower, while the other, which is the main one, has access to a huge terrace. 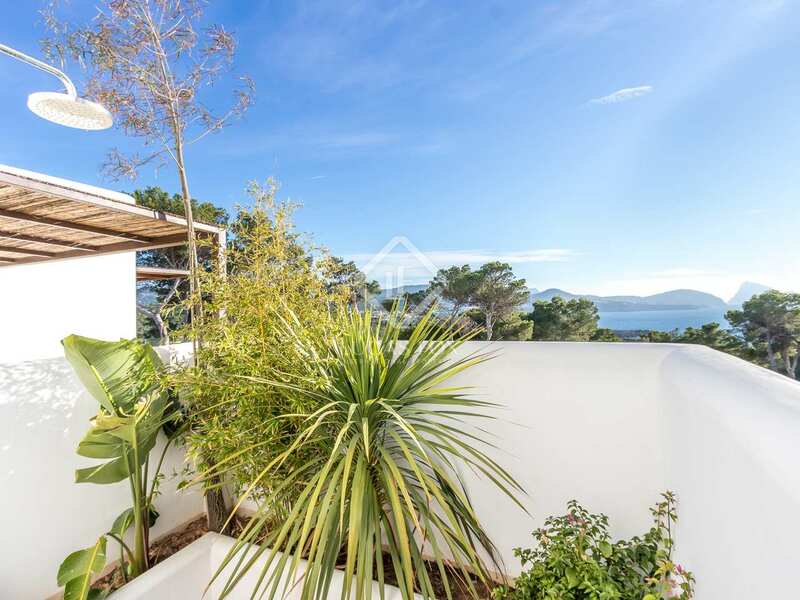 Both offer stunning views of the sea. 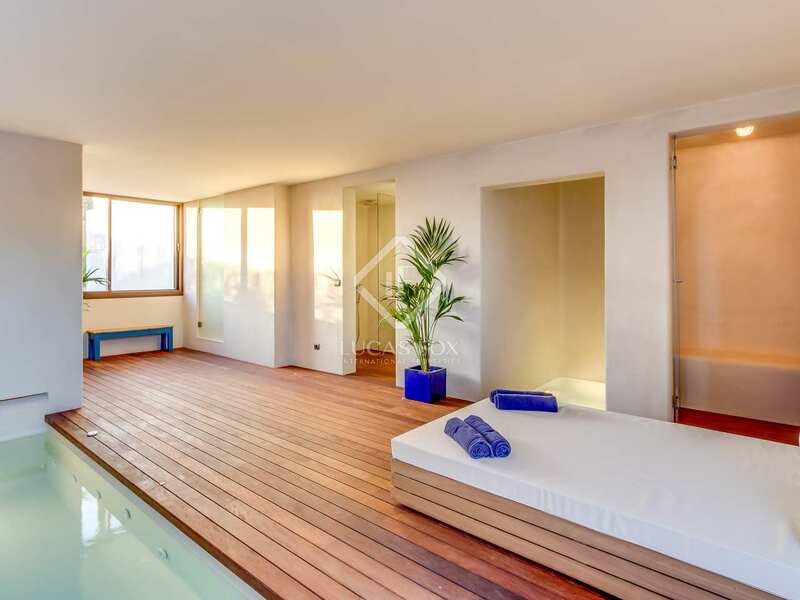 Finally, in the basement there is a complete spa with sauna, bathroom and views of the interior of the pool through glass. 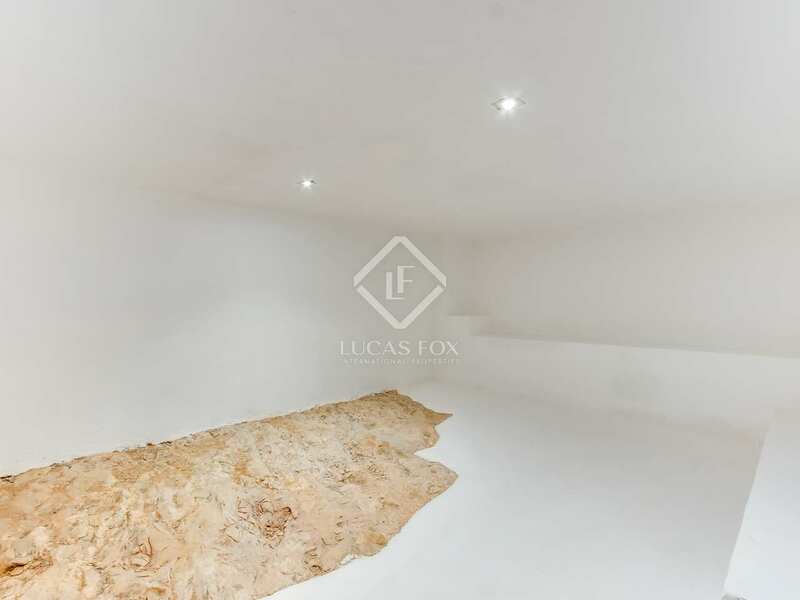 This floor is completed by a bedroom for the service staff and a wine cellar. 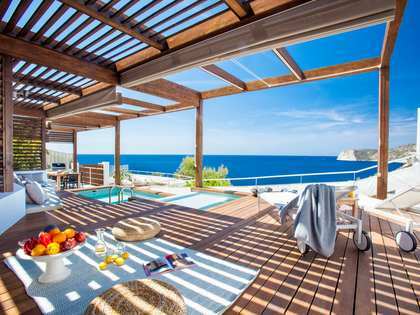 Outside you can enjoy the garden and the pool, relax in several chill-out areas and share meals in the outdoor dining area with its barbecue. 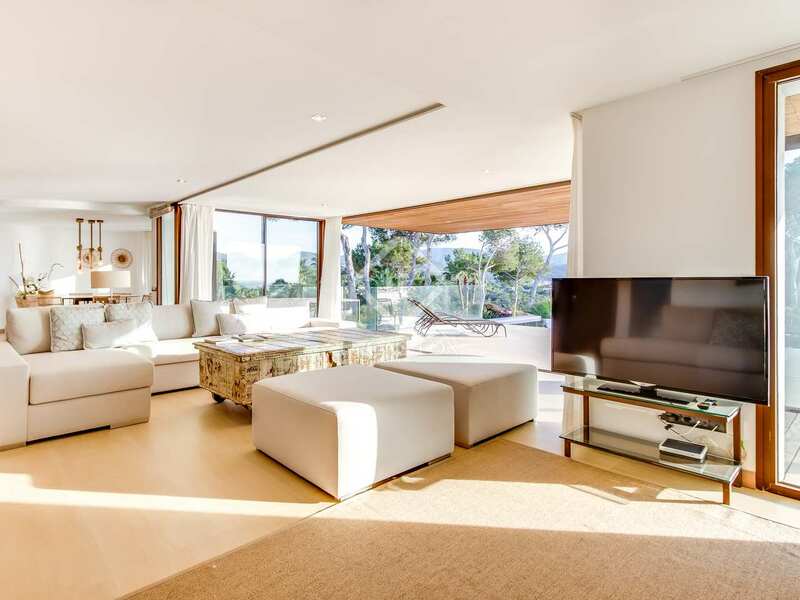 There is also a large garage and a large parking area. 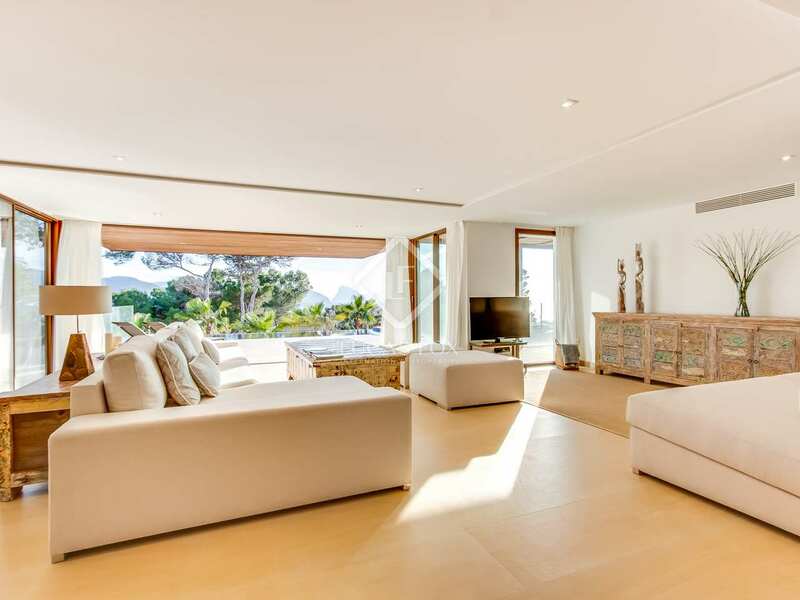 Completely renovated, the villa is presented in brand new condition with high level finishes: it is enclosed by high quality glass and has underfloor heating with aerothermy, central air conditioning and perimeter alarm. 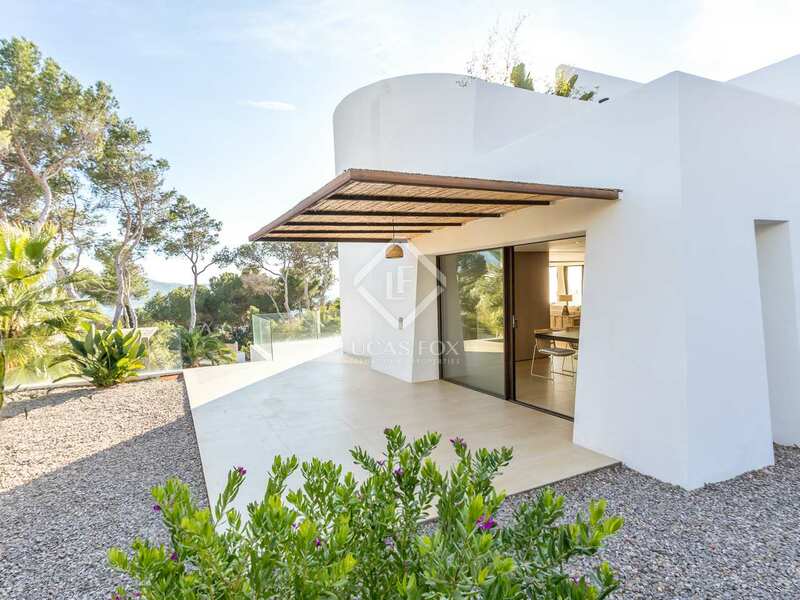 A unique opportunity for those looking for a beautiful and exclusive villa in Ibiza. 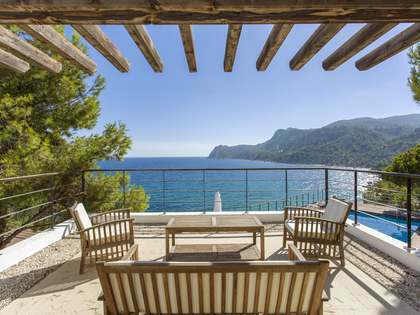 Villa in a fantastic location surrounded by the most emblematic beaches of the west of the island.